Firstly, it is important to say that before attempting to use any of the Techniques for inducing an Out of Body Experience, you should be fully-relaxed in mind and body. Out-of-Body-Experience.info contains lots of information and tips in order to reach the desired state of mind. Inducing an Out of Body Experience is not something to be forced, and without sufficient relaxation, you are unlikely to project successfully! Read about Out of Body Experience techniques, by all means, but do understand that until you have mastered relaxation and trance-states, you will not be able to do much with them. The Rope Projection technique is said to have been devised by Robert Bruce, one of the foremost figures in the world of Astral Projection. The idea was for a method of projection that would be effective for people who were without sight, and therefore relies more on tactile experience than visual memories. The technique hinges around an imaginary rope that hangs above you from the ceiling. As you lie on your bed, you imagine the rope hanging down towards you, and what you do is visualize yourself (or rather, your Astral Self) taking hold of the rope, and pulling yourself up the rope, one hand at a time, all the while concentrating on the sensations as you climb upwards. Be aware of the feeling of the rope against your hands, and the motion of your body as you pull yourself up from your bed, and concentrating also on the feelings of your arms slowly but surely pulling yourself upwards. The Rope Technique is extraordinarily successful at inducing an Out of Body Experience, even in people who have struggled for a long time to see any results. Quite quickly, a feeling of fairly intense vertigo is experienced, and projection is generally instantaneous, provided the student has kept themselves calm and relaxed throughout. Occasionally, people have difficulty with the rope technique for astral projection, as they just don’t feel that their imaginary hands and arms are strong enough to hold them and pull them up the rope. This may sound strange to you, but it is a phenomenon more common than you would think! In this instance, a ladder may be imagined hanging from the ceiling, instead, which has the benefit of allowing the would-be Astral Projector to use his or her feet, as well as the hands. All other aspects of this method remain the same as with the Rope Projection Technique. The next two techniques for Out of Body Experiences are slightly more traditional and also more difficult for many people. However, some people take to these kinds of Astral Projection techniques like a duck to water, and it is certainly good to have as many different methods under your belt as possible. The point shift method involves becoming intensely aware of your own body, and then mapping out in your imagination where everything in your room is, in relation to you and each other. It is for this reason that it requires quite a lot of concentration. Once this stage has been reached, you then can feel yourself float, just a few inches, at first, and then visualise all of your surroundings from that new perspective. The idea is to feel as if you have already projected out of you body, and keeping your awareness of where you are and what you visualize from the view-point of your imaginary self! Finally, you slowly rise from your physical body. This takes what can only be described as a very relaxed form of will-power. Some force is necessary, but you must not allow your body to become tense. Congratulations, you have projected, and once this method of Astral Projection is mastered, you will find it far easier to project under almost any circumstances. This is the first method I learned to induce an Out of Body Experience with! Like the Point Shift method, it is among the more difficult for many people, and this probably accounts for many of my early struggles to master Astral Projection. However, once learnt it is a good technique that only becomes quicker with practice! At the heart of this technique for inducing an Out of Body Experience is creating a detailed, life-like double of yourself. I find it works well either lying down or seated, but it works best in an environment you are very familiar with. Visualize yourself, starting at the feet, and working your way up, including any details you believe will help your body-double to feel real to you. Sometimes I imagine really intricate detail, from buttons to eyebrow hairs, and other times I imagine in much broader strokes. With some effort, you can now allow your body-double to stand up or sit up. At this point you may start to feel a pressure in your head or in your chest. Don’t panic, as this is the projection point kicking in. If all goes to plan, your awareness will now have shifted entirely to the projected body. Not a complete system for Astral Projection, in itself, but more of an aid, for when projection has not quite been successful. I generally alternate this technique with others when projection is proving difficult, or use it to finish the projection after using the rope technique. This is a method of inducing an Out of Body Experience while in bed or in a reclining position. It is effective because the act of rolling in your bed is something that we each experience many times a night, and the familiarity of this action makes it easy to visualize for the purpose of helping to induce an Out of Body Experience. Simply “feel yourself” rolling back and forth in your bed, and allow your imagined view point to reflect each new position. This technique for Astral Projection is quite often enough to trigger a successful Out of Body Experience, even when you have found yourself struggling using other methods. I have to say, though, that I have seldom found it effective on its own. Another effective system, that I believe was also discovered by the great Robert Bruce. As I describe it, it will become apparent that this technique for Astral Projection is not one of the more traditional methods! You may have noticed, while driving, or playing a computer driving game, that concentrating on the driving, while the views from outside move quickly past, constantly changing, you can easily find yourself in a trance. We can often lose track of time, or get to a destination without really remembering the journey. We can use our remembered experiences to help induce astral travel, by recollecting the feeling of motion combined with the ever-changing and moving landscape. This should result in a deep trance state quite quickly, allowing the projector to now switch to another method, say the rope technique, to make the actual projection. Personally, I have rarely used this method for inducing an OBE. It certainly works; however I do have a concern that using this method could easily train the practitioner of Astral Projection to always associate the feelings of driving with entering into a deep trance state. This would be undesirable, for obvious reasons! I have saved the most exciting and unusual method of Astral Projection for last! After having entered a trance state, fully mentally and physically relaxed, the picture technique for Astral Projection can yield some quite stunning results. I did this first by accident, an did not succeed in replicating it until a couple of years later. You want to use a picture, which can be a painting or a photograph, and allow yourself to imagine yourself in the landscape. Looking at a reflection of that picture in a mirror increases the feeling of depth in the image, which I think was a crucial part of me mastering this technique for Out of Body Experience. Really “feeling” and “seeing” the details around you is the key for making this Astral Projection technique work. Start by allowing an imaginary view-point to get closer and closer to the image, and then gently but firmly push your consciousness actually into the picture. 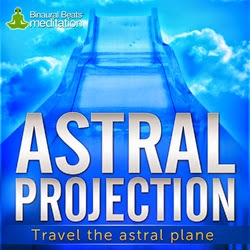 This technique allows the Astral Traveler to explore a virtual world or worlds, and also use this as a starting point for travelling to other Astral Worlds. One problem that people often find with Astral Projection is that they can successfully project to a specific place or Astral realm, but shortly find the destination morphing into somewhere different. The Picture technique for Out of Body Experience neatly side-steps these kinds of problems, transporting the traveler to a much more clearly defined world, that you could visit and explore many times, and results of each exploration are much more likely to be consistent. This is not the easiest Astral Projection technique to master, but its results will speak for themselves, if you are prepared to put in the extra effort!